Survivor 28: Cagayan (2014) - 14th place, 5th out. Voted out in Episode 5, "Odd One Out" (Day 14). Cagayan Ep. 1 RC/IC: "Draggin' the Dragon" - Retrieves the keys for Aparri, which narrowly finishes second (2nd*/3). Cagayan Ep. 2 RC/IC: "Phish Farm" - Sits out, as Aparri passes Luzon for an easy win (1st/3). Cagayan Ep. 3 RC/IC: "Mazed and Confused" - Catches water & works the maze with Woo; Aparri wins! (1st/3). Cagayan Ep. 4 RC: "Haulin' Oats" - Caller for Aparri, which stages a last-minute comeback to finish second (2nd*/3). Cagayan Ep. 4 IC: "Octopus' Garden" - Shoots baskets, overcoming an attempt by tribemates to throw the challenge, sending Aparri to another second-place finish (2nd*/3). Cagayan Ep. 5 RC: "Kicking and Screaming" - Now with Solana, remains unremovable from Solana's pole, giving his tribemates both points they need to win the reward. Solana wins. Cagayan Ep. 5 IC: "Gate Crasher" - Participates for Solana, which barely loses. *Note: Second-place finishes during the three-tribe phase of Cagayan count as half a win. Cagayan, Ep. 5: Four votes, from LJ, Jefra, Trish, and Tony (voted out, 4-3). None, apart from the CBS one, embedded below. Gordon Holmes at XfinityTV.com (3/20/14): "Cliff: 'Being Irritating Was a Part of (Trish's) Game'"
Rob Cesternino at RHAP (3/20/14): "Talking With the Latest Player Voted Off Survivor - 3/20/14"
Liz Raftery at TVGuide.com (3/20/14): "Survivor's Cliff Robinson on Tribal Tension, Why He Should Have Gone to the End"
Inspiration in Life: Muhammad Ali, because of his strong belief system and what he stood for. Hobbies: Golf, off roading/camping, and bowling. Pet Peeves: People who chew their food with their mouth open. 3 Words to Describe You: Adventurous, funny and loyal. If You Could Have 3 Things on The Island What Would They Be and Why? A rain coat to keep dry, soap so I can keep myself clean, and a Leatherman because it’s a multi-tool. 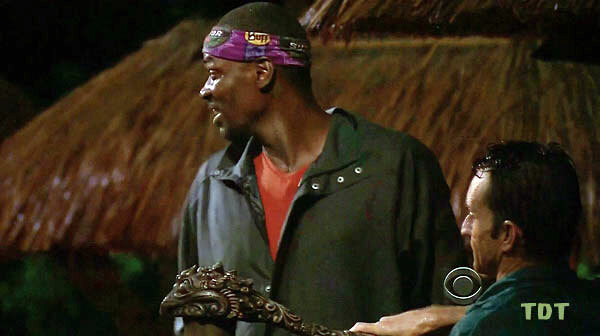 Survivor Contestant You Are Most Like: Boston Rob, because he had a good way of getting people to trust him. Reason for Being on Survivor: The challenge of the show being so tough, and the million dollars. 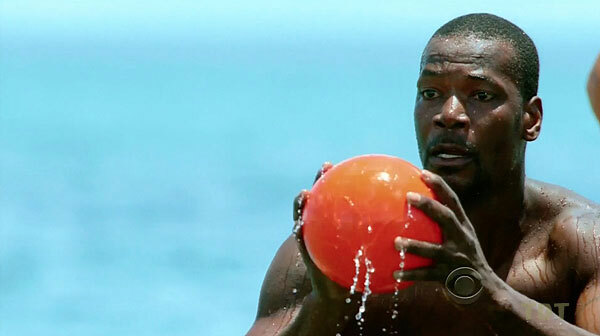 Why You Think You’ll “Survive” Survivor: I know how to fish, cook, and have good athleticism. Why You Think You Will Be the Sole Survivor: I think I would do well in challenges. I also have a good ability to make people feel comfortable with me."